The "Nairobi" video features cameo appearances by a who's-who of Kenyan top socialites and celebrities including popular Kenyan hip hop artist, Juliani; Dr. Abbas Gullet, the Secretary General of the Kenyan Red Cross; Kenyan publicity maverick Gina Din Kariuki; Kenyan tycoon and philanthropist Chris Kirubi; and Kenyan dub poet and musician Oneko Arika who is also featured on the song. The track was co-produced with Danish music producer Pharfar. The "Nairobi" video was filmed by The Good Makers collaborative headed up by Tilo Ponder on location in Kenya. Ethiopian filmmaker Babbi directed the video, along with Cris Blythe. The Good Makers work to unlock the potential that exists in charities, NGO1s & marginalized communities through documentaries, music videos and youth-lead development. International music star and humanitarian activist Rocky Dawuni straddles the musical boundaries between Africa, the Caribbean and the U.S. to create an appealing "Afro-Roots" sound that unites generations and cultures. 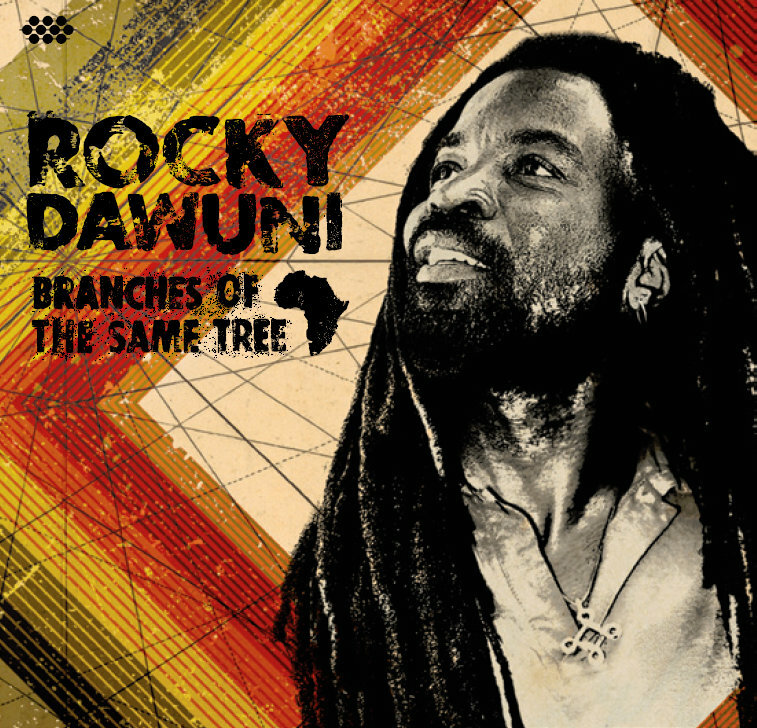 Filled with uplifting and irresistible songs, Rocky's sixth album, Branches of the Same Tree, blends inspirations from his diverse experiences while expanding on his identity as an artist, a proud son of Africa and as a true world citizen. Inspired by the soulful beats of Afrobeat legend Fela Kuti, the positive messages and deep grooves of Bob Marley and the infectious, sing-along anthems of Michael Franti, K'naan and Matisyahu, Rocky Dawuni's songs blend elements of reggae, Afrobeat and global pop into an enticing new sound. The songs on Branches of the Same Tree also reflect influences of New Orleans funk, Brazilian samba, even the lilting sounds of Hawaiian ukulele, seamlessly integrated into a unique and approachable style. The album features appearances by an all-star lineup of guest musicians, including veterans from Michael Franti and Spearhead, Steel Pulse, Ben Harper and The Innocent Criminals and Ziggy Marley. Already a superstar in West Africa with a devoted international fan base, Branches of the Same Tree brings Rocky's music to even wider audiences around the world.